I really enjoy your cartoons, read every one of them (though have not commented before now), & always look forward to the next one. 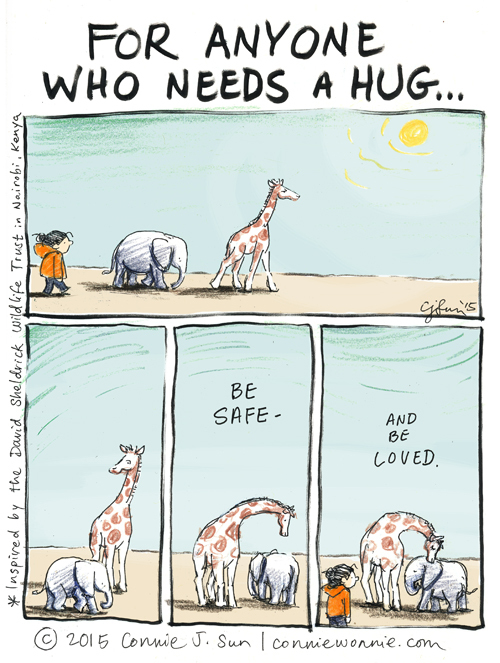 Love your cartoons, especially this one that mentions one of my favorite organizations, the Sheldrick Trust, with the baby elephant and giraffe! Hugs back to you, for every message you put across. Thank you.